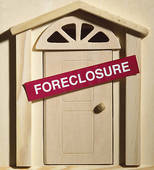 Usually each bank will have a complete list of foreclosed properties in the area that are under their ownership. There are also online mailing lists that you can sign up for that will give you weekly updates on foreclosed properties in your area. OpenOffer.com is providing an mls list of all foreclosures in San Diego completely free, you dont even need to sign up. This is possibly the most important step. Do a thorough review of all the properties on the foreclosure list that you are considering. Pay attention to how long it has been foreclosed upon, its price history and the institution that owns the property. This information will be very valuable as you enter the next steps. Once you narrow down your wish list, make an arrangement to take a look at the property. Make a checklist of things that you expect from the property (i.e new windows, tiled floors etc.). It would be advisable to visit the place with at least one other person. Often times a friend or relative is able to see things about the property that you may not notice at first glance. This is where you decide whether to buy the property and resell or whether you have other desires. Some buy the property to remodel and then resell, a process known by many as “flipping”. Some simply buy the property, fix it up and rent it out. Regardless of what strategy you choose, make sure that you have a plan on what you want to achieve and how you will go about getting it done once the property is yours. Although foreclosed properties tend to be significantly less than their market value, there is still room to negotiate. Lenders that have these properties typically are in a hurry to get rid of these properties just to recover what has been lost. They are usually willing to negotiate a less than ideal price just to get the property off of their hands. Don’t be afraid to haggle.